How can a new community program be accepted by our local community!! People's behaviour is generally being reinforced by the attitude of our society towards certain behaviour. Nashamitra is an approach which moves away from the medical focus on the addiction illness. It entails supportive community, promotive family environment, healthy life style and employment opportunities of the affected person. Merely putting blame on sufferers from addiction to change their life styles can lead to victim blaming and does nothing to change structural causes of ill health. 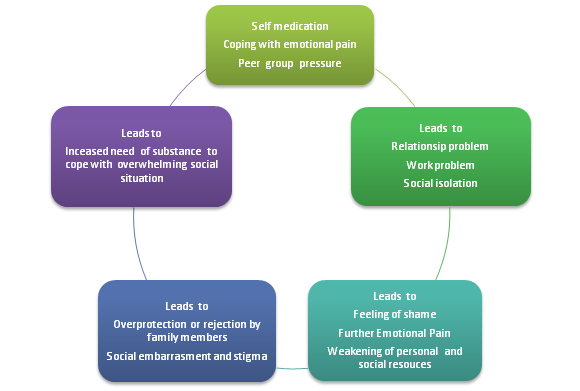 One may be aware of multiple negative consequences of their addictive behaviour but may find it very hard to change due to lot of structural barriers stemming from their environment and community. One way of closing the gap is by reducing structural barriers through community participation. Different approaches may be applied to different communities. 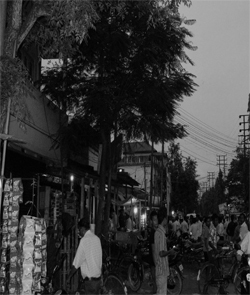 However, Nashamitra starts its community journey by working with people who genuinely needs this service and proactively involving important community leaders through lot of education about the need for this program and what Nashamitra can do differently in comparison to conventional medical services for the complex addiction problem. The involvement of community members is an ongoing and collaborative process. They are considered to be an integral part of Nashamitra family. They not only support their own patients but can also provide valuable feedback for benefit of the broader community. Community leaders may come from different range of disciplines. Hence a carefully tailored educational and health promotion approach is implemented. Successful case examples are used as a role model to attract people’s attention to Nashamitra program and it works as a snowball effect to spread awareness of this program across the community. Nashamitra also organizes a range of community awareness activities. Copyright @ 2017, Nasha Mitra.